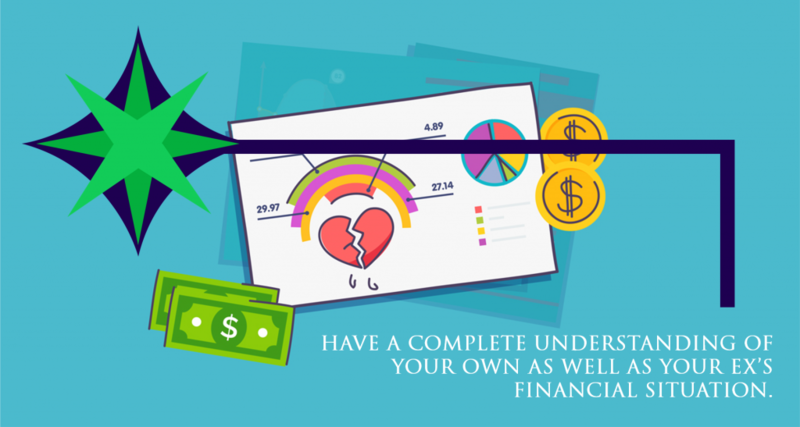 When charting your living expenses during your divorce, you need to have a complete understanding of your own as well as your ex’s financial situation. Here’s a starter list to help figure out your living expenses. When filling a Financial Affidavit, keep in mind that there are 4.3 weeks per month – not 4. This is an easy mistake to make, and one that will result in an under-estimate of your expenses. As you start to fill this out, the best sources of information to have handy are bank statements (including cash withdrawals), cancelled checks and credit card statements, and year-end summaries. Analyze your expenses over at least a full year so that you don’t overlook expenses that only occur at certain times of the year – such as back-to-school or holiday expenses or high utility bills in winter or summer. If you aren’t going to have the time or patience to prepare this analysis in detail, here are some quick tricks that can help you complete this task fairly rapidly. 1. First, add the expenses for the items where you already know the exact cost – your mortgage, real estate taxes, home and auto insurance, telephone/cable/internet bills, housekeeper, car payments and life insurance. 2. Next, tackle the expenses that you can estimate by week – dry cleaners, groceries, lawn service, fuel for auto, parking, cabs/tolls, grooming, dining out, allowance for kids, sitters/child care and tutors. Remember that there are 4.3 weeks per month. 3. Then, call service providers who can provide an annual figure (remember to divide by 12): call the gas, electric and water companies, vet for pet expenses, car dealership or service center for maintenance and repairs, doctors for medical expenses, and health club for recreation expenses. 4. Now you’re down to the expenses you need to estimate: home repairs and maintenance, clothing for you and your children, entertainment, newspapers, magazines, books, gifts, donations, vacations, computer expenses, extracurricular expenses for children, children’s entertainment, and gifts to others. 5. Add footnotes to your financial affidavit so you remember how you calculated expenses – especially the ones that you’re estimating. 6. Make sure your math is accurate: double-check your figures, especially if one seems much higher or lower than you expected it to be. 7.Review your draft document with your financial professional and/or with Attorneys at Crosson & Richetti. 8. The total monthly figure is a net number that does not include state/provincial or federal taxes that you’ll be responsible for paying. Your gross monthly number is the net number plus an estimate for taxes. Add them to your first draft to make sure all your regular expenses have been identified). There are a few other categories to consider, and if you need additional help, we can walk you through the entire process.